Asbestos was originally considered a miracle fiber, primarily because it is so durable and heat-resistant. So it became a heavily used fiber in manufacturing insulation, roof shingles, floor tiles, ceiling materials, textile products, and many other consumer and commercial products. But in the 1970s it was discovered that asbestos fibers, which are microscopic in size, would attach to lungs and other parts of the respiratory system when breathed in – and would not be absorbed by the body. The result has been untold suffering for so many people who worked or lived in an environment where asbestos fibers still fill the air – from asbestosis, a non-cancerous degenerating of the respiratory system to lung cancer – including a particularly aggressive form of lung cancer known as mesothelioma. 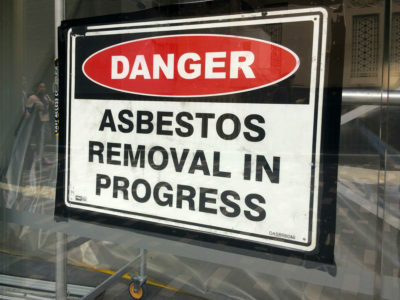 Asbestos was so pervasive that, even today, asbestos is discovered continuously, and there is no safe way to remediate it other than by skilled, experienced professionals equipped with protective gear to prevent inhaling the dangerous asbestos fibers. CRM Services LLC is a Certified & Licensed Asbestos Abatement Contractor and a major go-to resource for this entire region. 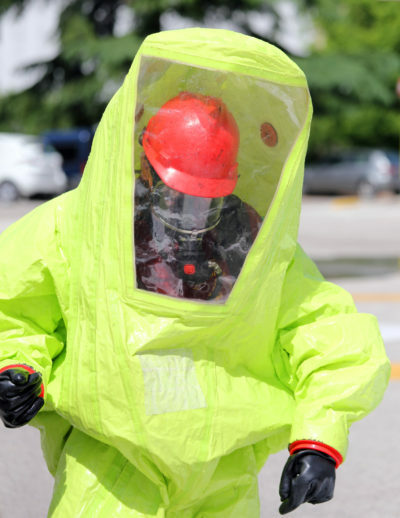 Asbestos removal and remediation is a challenging and dangerous job. Only professional abatement companies with the specialized equipment, gear and expertise should ever deal with removal and disposal. The health risks are much too high to take any chances. call us so we can assess your situation and, if found, prepare a systematic and cost-efficient mitigation and abatement plan. Call the CRM Services Restoration PROS 24/7/365 for a Free, No-Obligation, No-Hassle Estimate at 678-540-8606… or click on the LIVE CHAT button in the corner of this page for 24/7/365 assistance from a real person.